Rome is the Eternal City of piazze (squares) and your morning cappuccino in the local bar; of long, leisurely dinners and buzzing motor scooters; of cobblestoned streets, medieval quarters, fashionable evening strolls, Renaissance palaces, and splashing fountains. 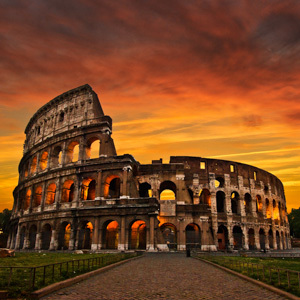 Rome has also been the seat of two great empires. The era of Caesars and togas also cranked out tens of thousands of sculptures, of which the cream of the crop in the Vatican, Capitoline Museums, and Museo Nazionale Romano merely scratches the surface. 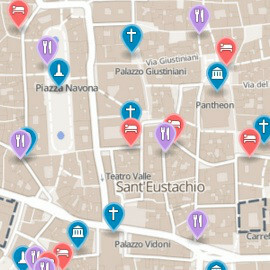 The early Christians also left Rome littered with well over 900 churches. Many of these seem less houses of worship than pretty, marble-clad walls on which to hang centuries' worth of art by Renaissance and baroque masters. 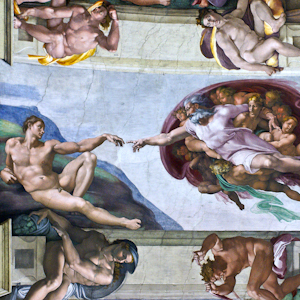 Works by Michelangelo, Raphael, Pinturicchio, Bernini, Borromini, Botticelli, and Caravaggio abound. One of these churches outdoes the rest. 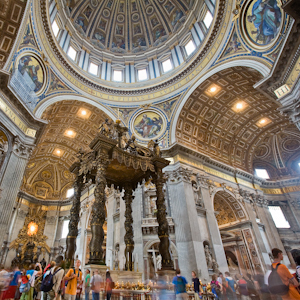 As the Capital of Christendom, Rome is home to the ludicrously huge Mother church of St. Peter's and the pope's personal pad, Vatican City. The Vatican's museums are vast, but the crowds come primarily to crane their necks in awe at Michelangelo's masterpiece, the Sistine Chapel ceiling. How can I possibly see it all? Someone once said it would take a lifetime to see all of Rome. I've had the great pleasure to live in Rome on and off since I was 11 years old, and I'd hazard that 100 lifetimes wouldn't be enough. 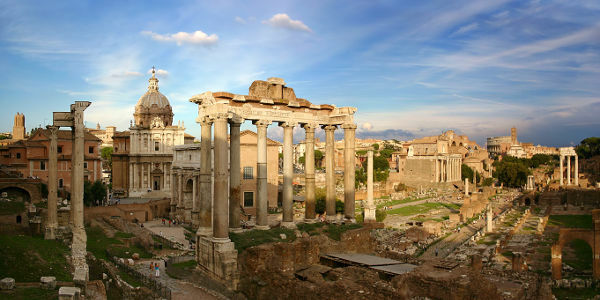 They also say Rome wasn't built in a day (it's at about 2,800 years and counting), and while you can't reasonably expect to see it in one day either, you can get at least a healthy taste for it in three days or four (see perfect itineraries). Just be sure to toss that coin in the Trevi Fountain before you leave so you can be secure in the knowledge that, someday, you'll return to the Eternal City.